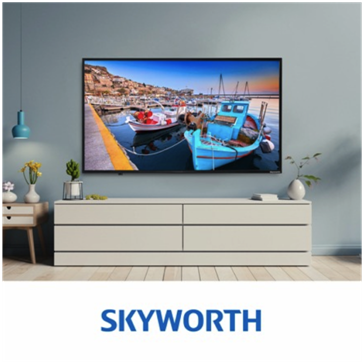 Skyworth, the world’s leading TV brand launched its iconic M20 SMART LED TV Series in the Indian market in exclusive partnership with Amazon.in, the largest online marketplace. The new series, includes three models in 32-inch, 43-inch and 49-inch screen sizes. 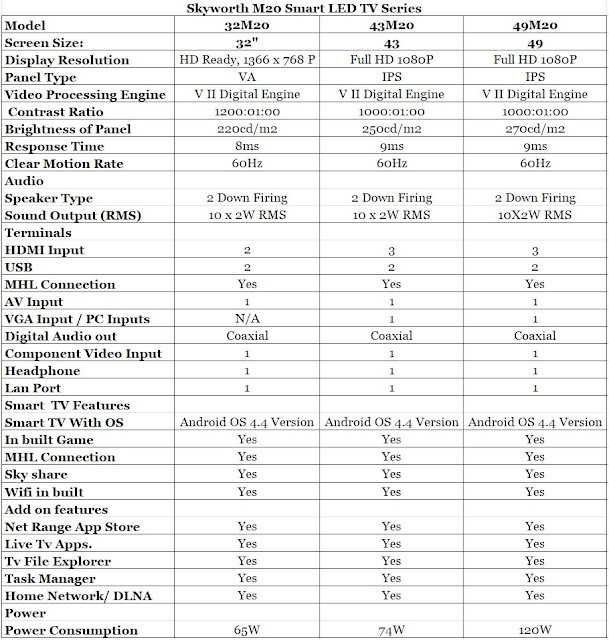 Packed with features like inbuilt game, inbuilt WiFi, live TV apps, net range app stores, & Install APK which help in downloading additional APPSthe new series provides the incredible user experience. It delivers a complete multimedia home theatre experience with its endless Smart TV capabilities and breathtaking picture quality. Equipped with DTS sound, M20 series offers extraordinary sound effects which will transport you to the scene playing on the TV. The Skyworth LED speakers guarantee high-quality audio output that would give a richer and more captivating audio experience. Additionally, various picture and audio mode options heighten your visual experience and let you enjoy the various programs. A 30-year-old organisation, Skyworth ranks among the top ten brands of Color TV in the world. The company is mainly engaged in research, development and manufacturing of such products as consumer electronics, display devices, TV digital set-top-box, security monitor, network communication, semi-conductor, refrigerator and washing machine, 3C digital, LED illumination, and has been listed on Hongkong stock exchange in 2000 (HK00751). The company holds the highest sustained earnings in color TV industry and the biggest number of annual invention patents.